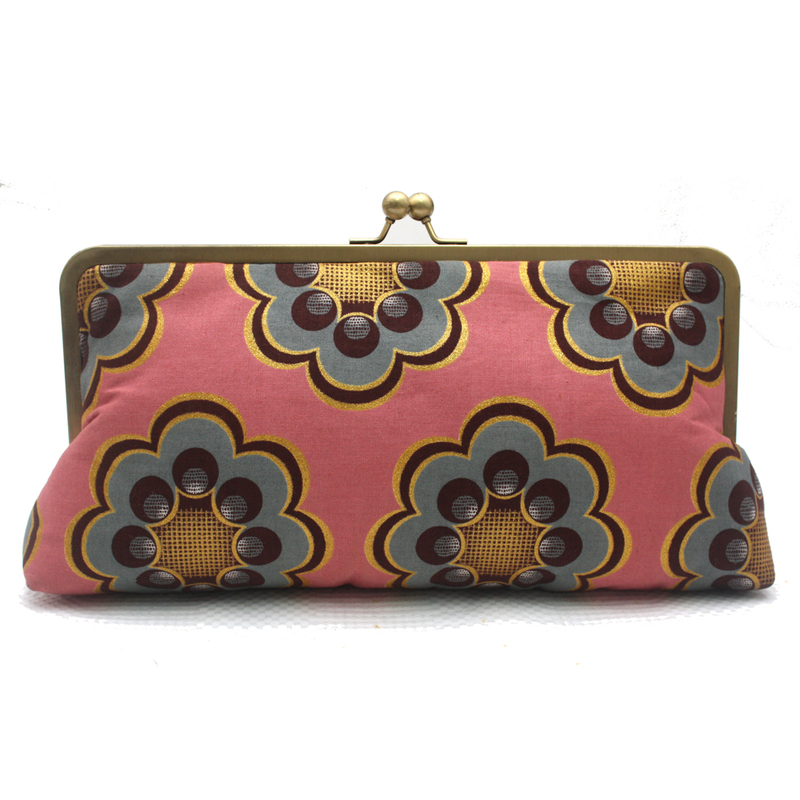 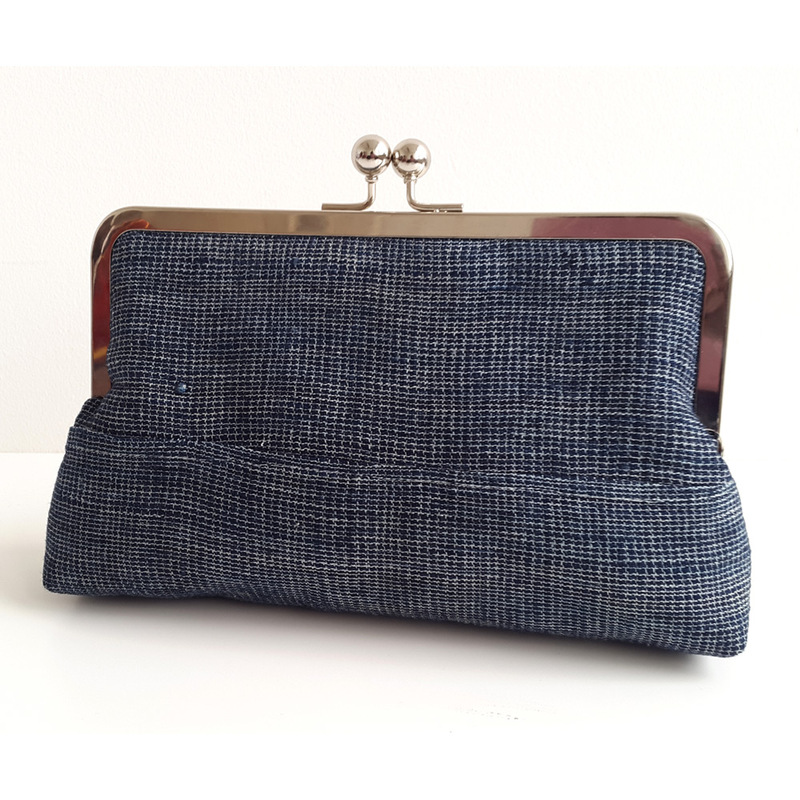 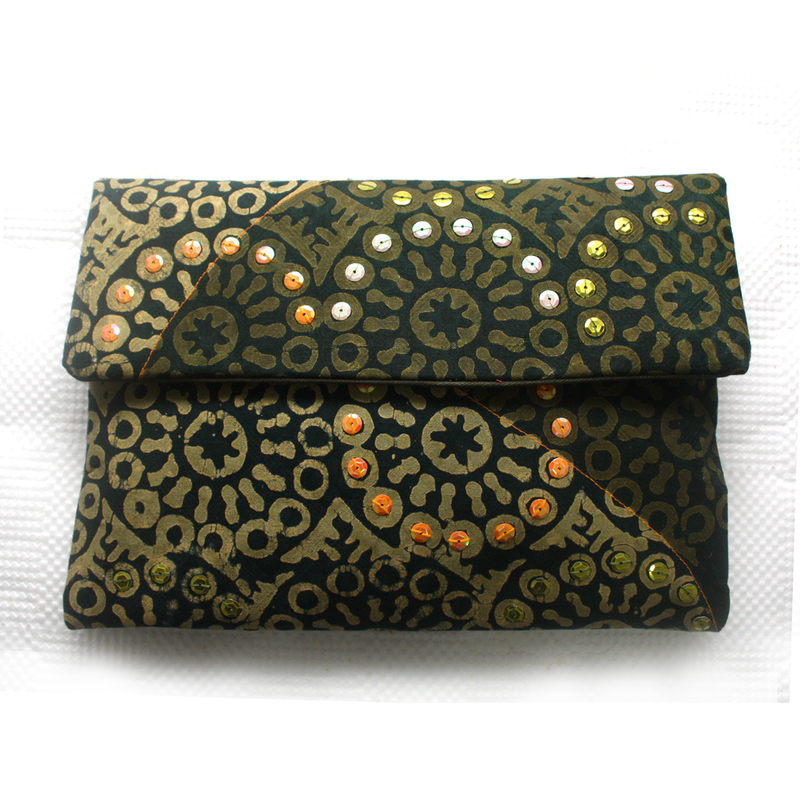 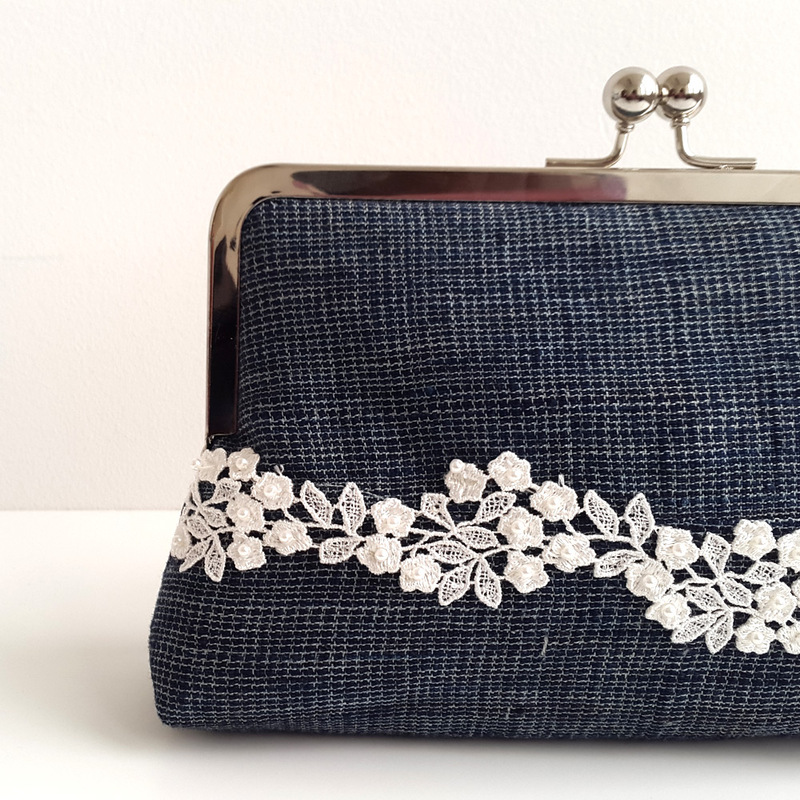 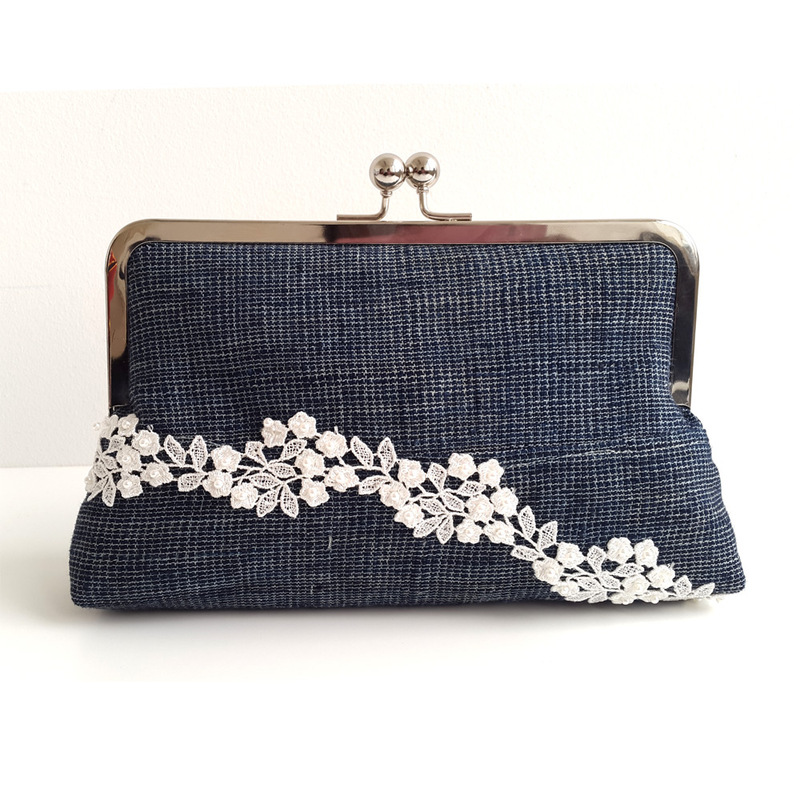 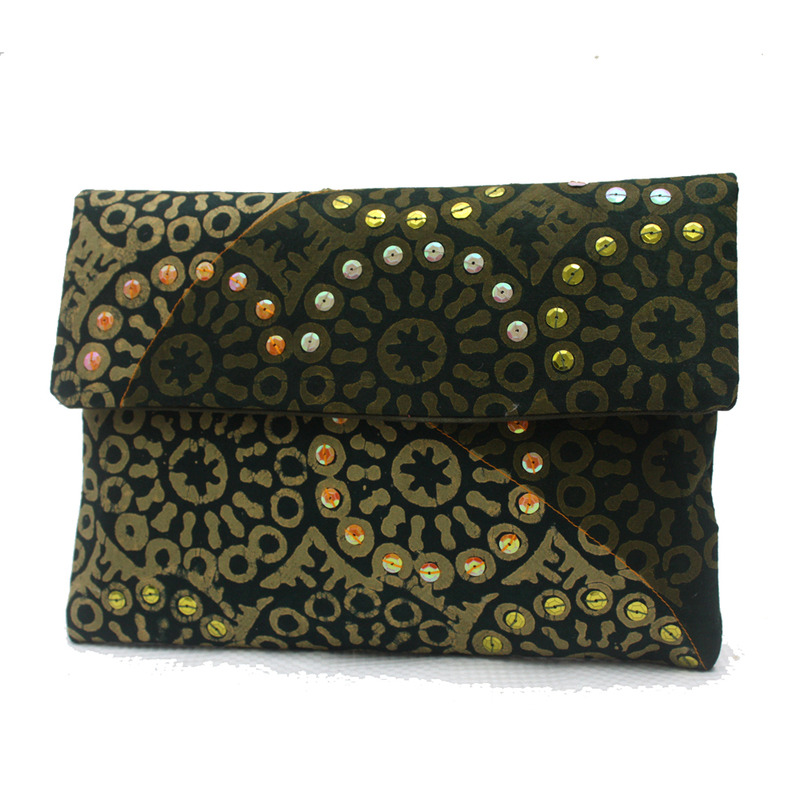 A cute little clutch purse which is versatile enough to inject effortless elegance into an outfit. 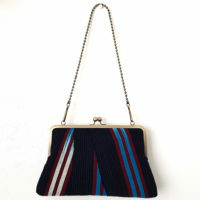 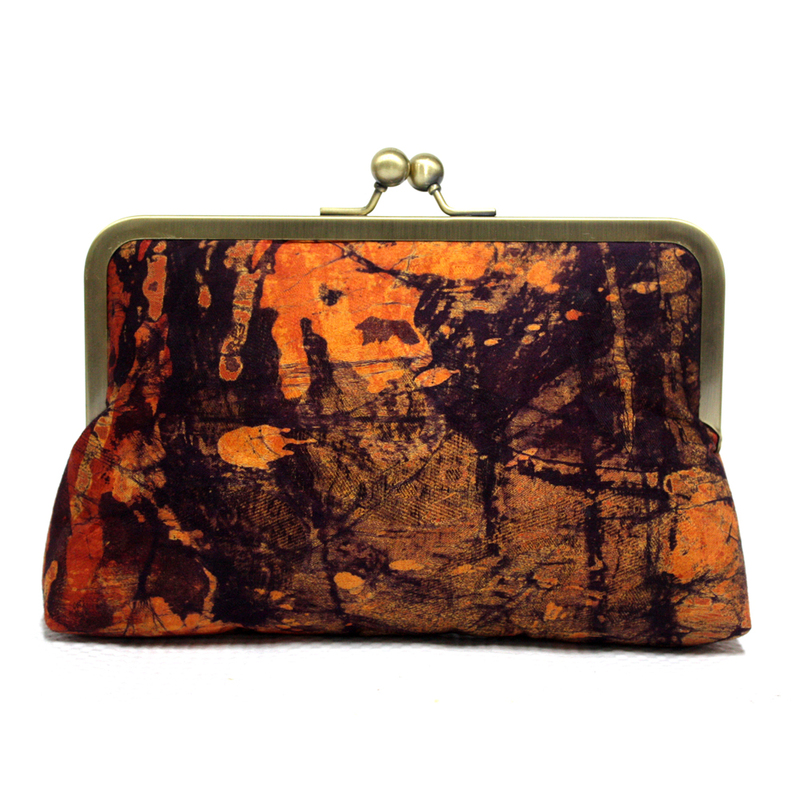 It would make a great evening bag or could easily add a nice touch to a more casual look. 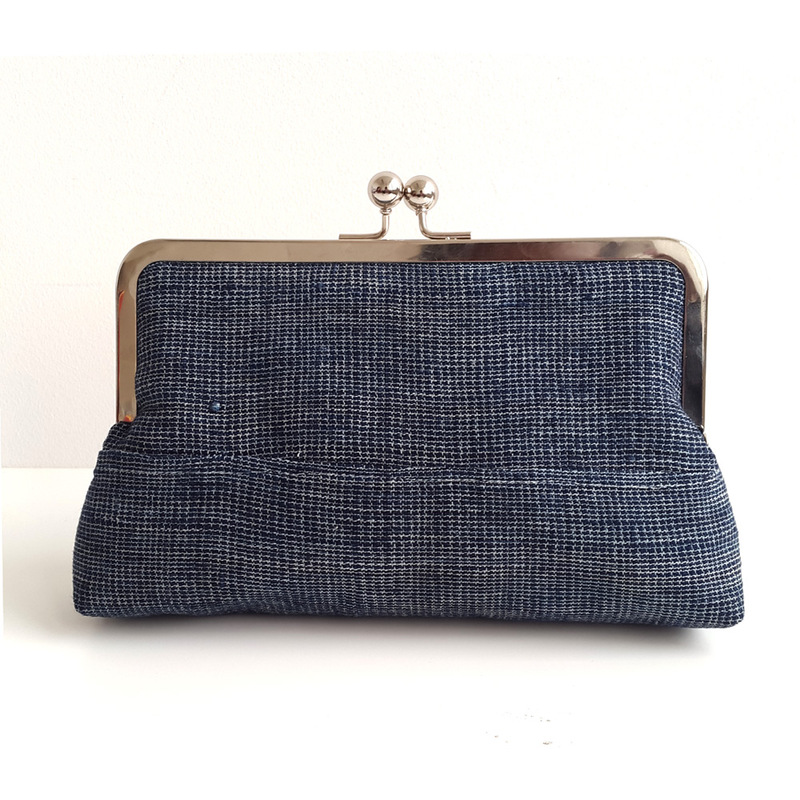 This one is a small size purse which will hold all of your essentials. 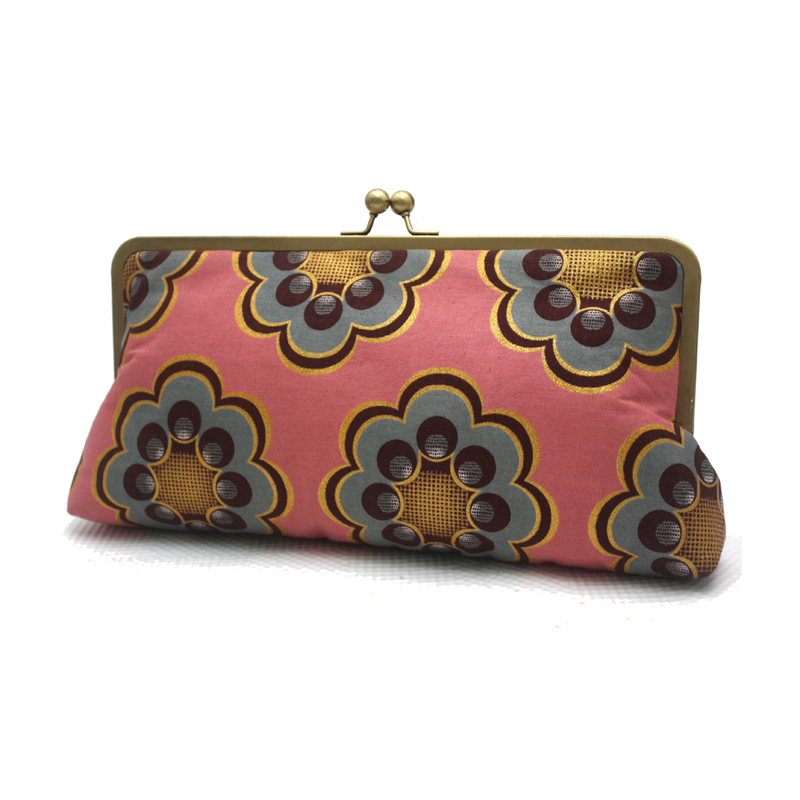 It is made in a light blue ‘Aso-oke’ fabric from Nigeria which is a hand woven textile. 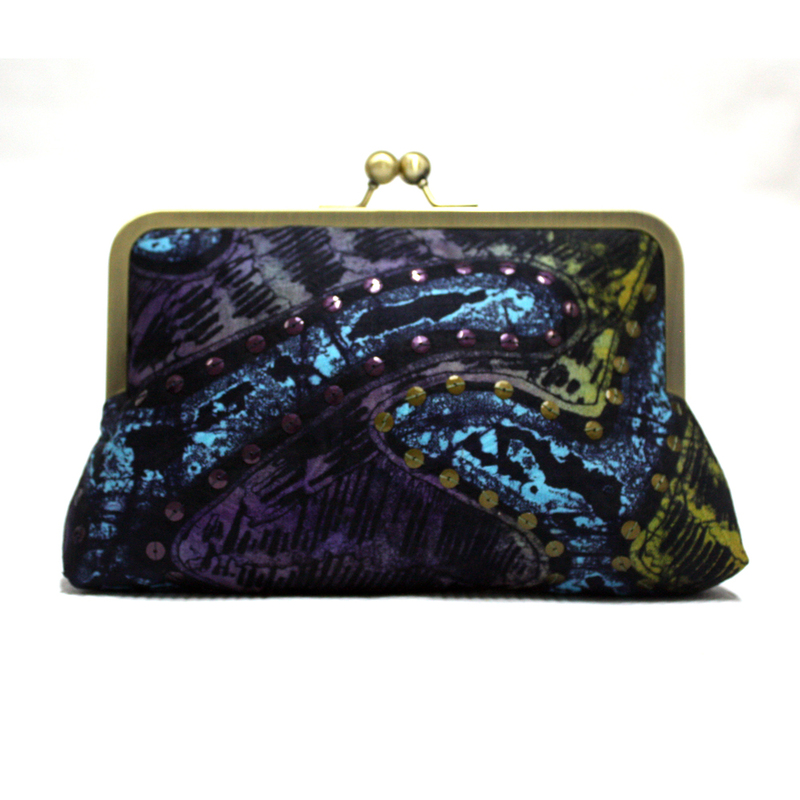 ‘Etu’ refers to a blue Aso-oke which is a rare find as the techniques and materials used for production are now uncommon. 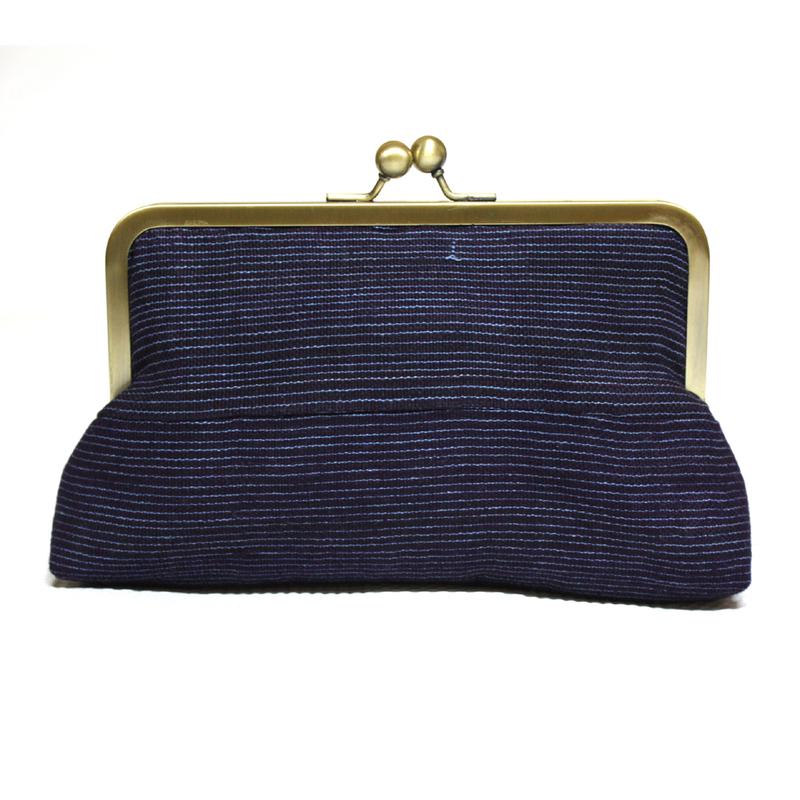 This one is a vintage and is at least 50 years old. 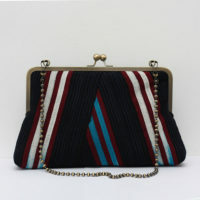 The age of the fabric and the organic nature of the weave is what gives it its charm. 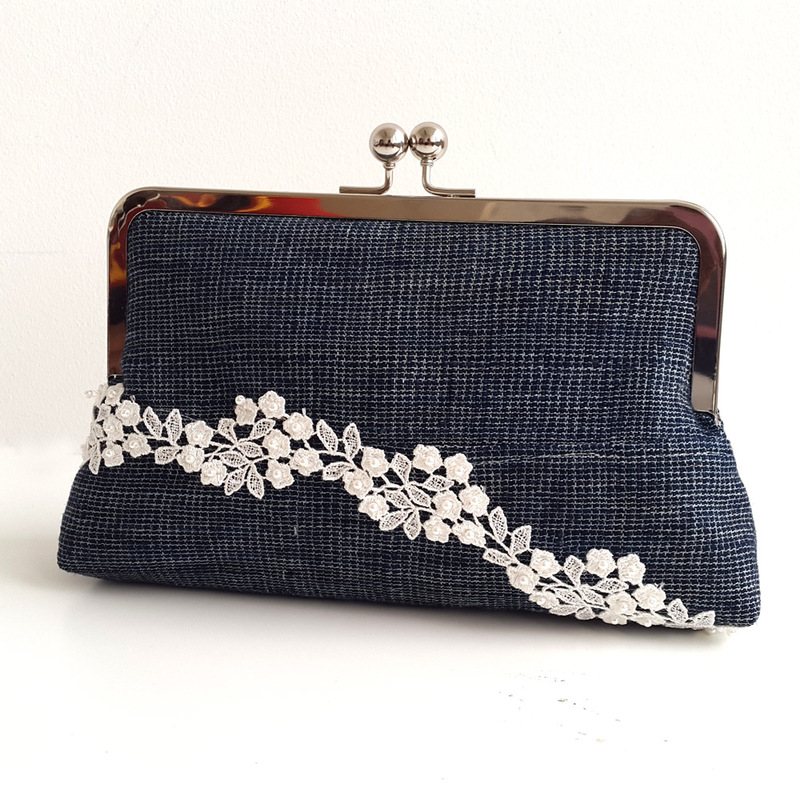 The Aso-oke is contrasted with a hint of Guipure lace for that touch of old fabric techniques from two very different continents! 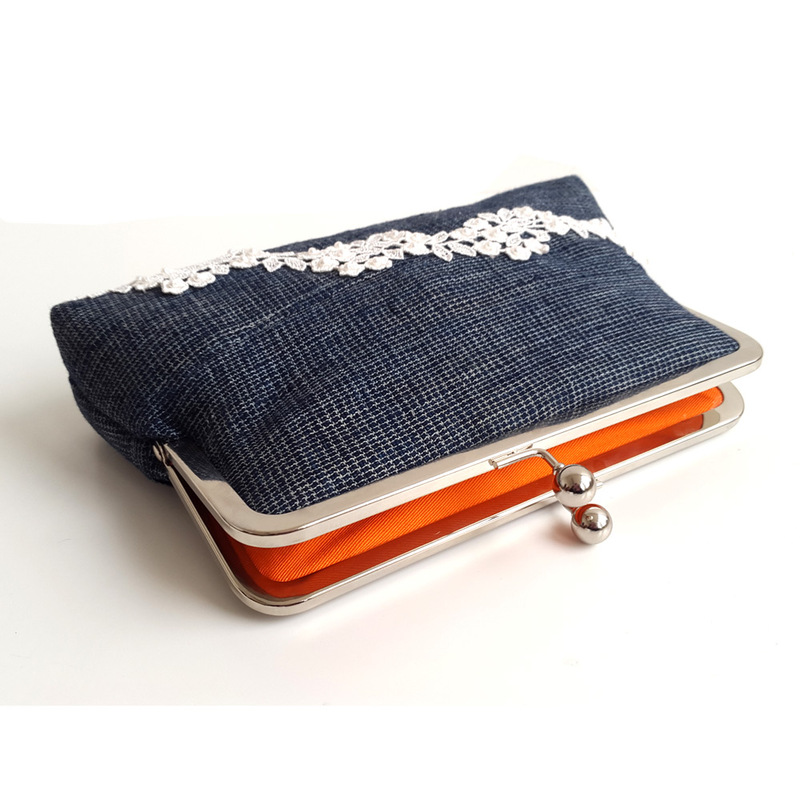 It has several layers of padding to give it stability and to protect its contents. 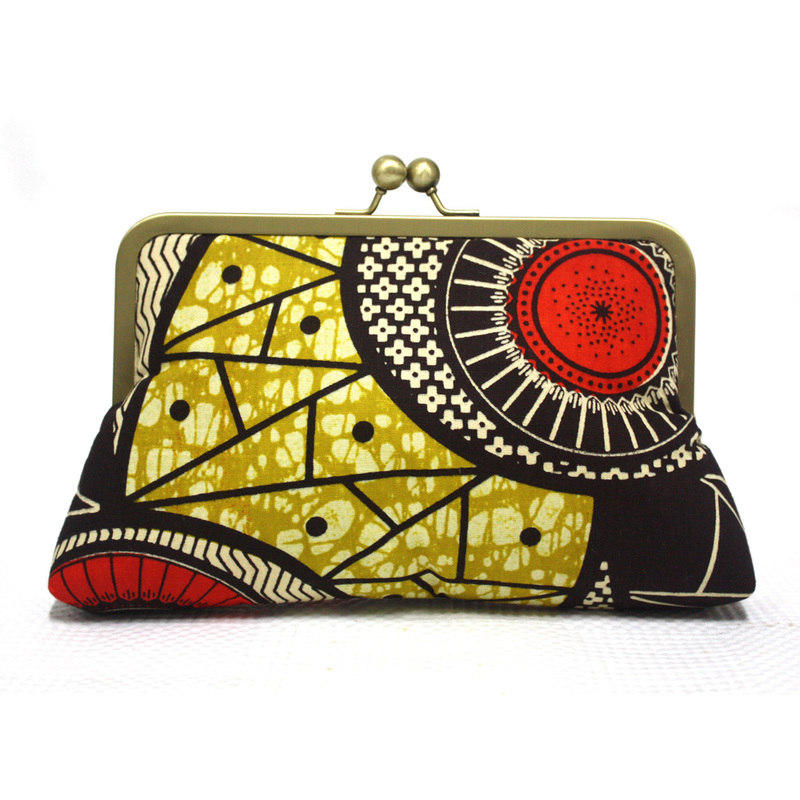 It will fit a phone, money, keys, make-up, camera and a lot more.